Many small businesses call Downtown Las Vegas home. From the many shops in Container Park to the small eateries and bars that line Fremont Street, Downtown Las Vegas characterizes itself as a local hotspot. Thanks to efforts such as Downtown Project, started by Zappos CEO, Tony Hsieh, the downtown area is able to maintain a community feel. In order to maintain the facade and characteristics of DTLV, it is important to support the small businesses that reside there. The money spent in your local economy has a greater impact on the community than the money spent at big-chain stores. Many city programs and expansions come from the tax dollars spent at local businesses. Civic Economics research found that local eateries return up to 79 percent of revenue to the community, compared to just 30 percent at chain restaurants. Local businesses contribute a higher percentage overall than large, chain companies. As stated before, city programs and vibrant town centers are maintained and expanded through the tax dollars generated from local businesses. 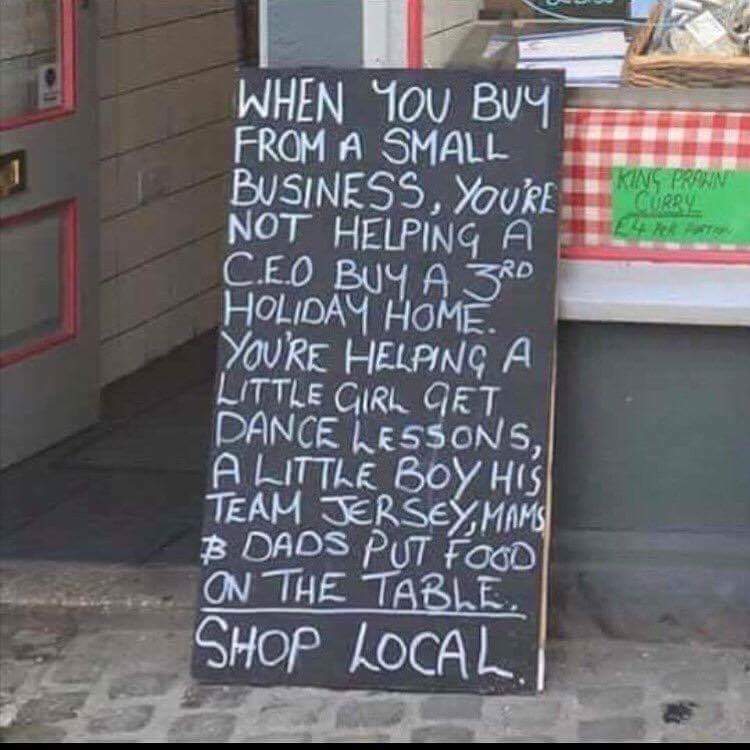 The owners of these local businesses also live in the same community as you and they deserve our support. Another big benefit to supporting local businesses is promoting competition. Having more small businesses helps produce competition in the marketplace. This drives innovation as businesses need ways to stand out and appeal to customers and brings down prices for products and services. Small businesses do not have national sale pressures so they are able to focus on the products they are passionate about. They adapt their businesses to their interests and the needs of their local customers meaning you will have diverse options when it comes to shopping small businesses. Because the owners are passionate about what they sell, they have a vested interest in providing the best customer service to their customers. They will usually take the time to get to know their customers and get a feel for their needs and wants. Vegas Pub Crawler is the ultimate way to bar hop in Downtown Las Vegas. Whether it is a birthday party, corporate event, wedding party or just looking for an excuse for a night out on the town with your friends, there is nothing quite like pub crawling via a pimped-out, multi-rider cycle. For more information on how you can book your DTLV pub crawl, see our pub crawl availability.